KIT CONTAINS OVER 450PIECES Medium size 30 Bedazzler rhinestones in 10 different colors. Small Size 30 (7mm) Bedazzler Rhinestones. Acrylic Rhinestones in non rusting silver color settings. Prong size: 3mm. Sparkling bright acrylic & non rusting brass. Decorate sweaters; hats; dresses; slacks and more. 10 Beautiful colors including special Tourquoise and Pearl. 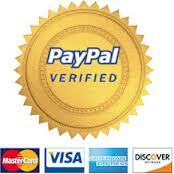 Apply by hand, with bedazzler machine, or rhinestone press. 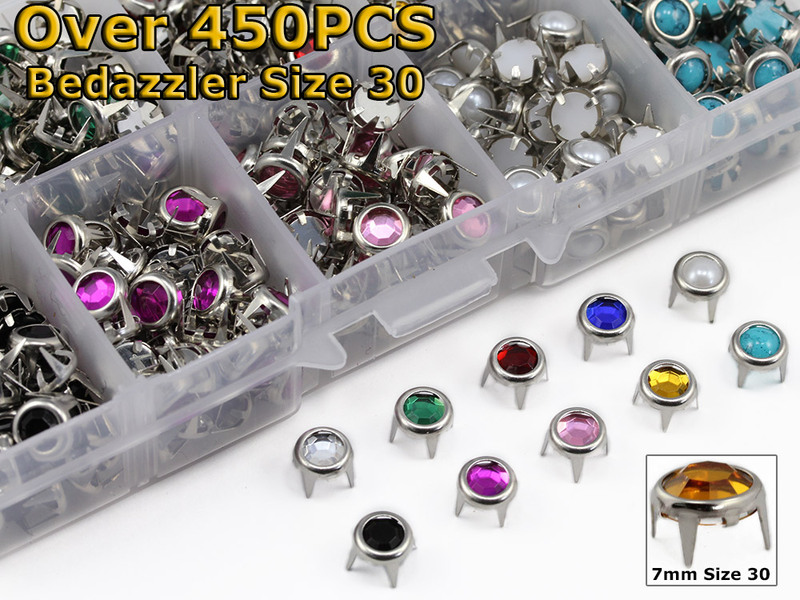 KIT CONTAINS 450 PIECES Medium Size 30 (7mm) Bedazzler rhinestones in 10 different colors! Bedazzler rhinestones come packaged in a convenient storage box to keep you organized. 10 Awesome Colors Including NEW PEARL AND TOURQUOISE! 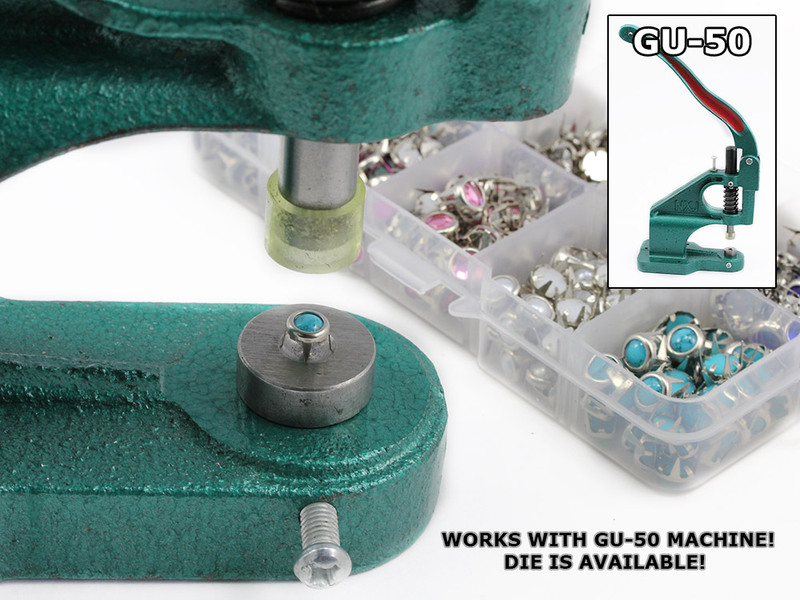 Works with GU-50 Machine + 7mm PRESET RHINESTONES Die! Description: KIT CONTAINS OVER 450PIECES Medium size 30 Bedazzler rhinestones in 10 different colors. Small Size 30 (7mm) Bedazzler Rhinestones. 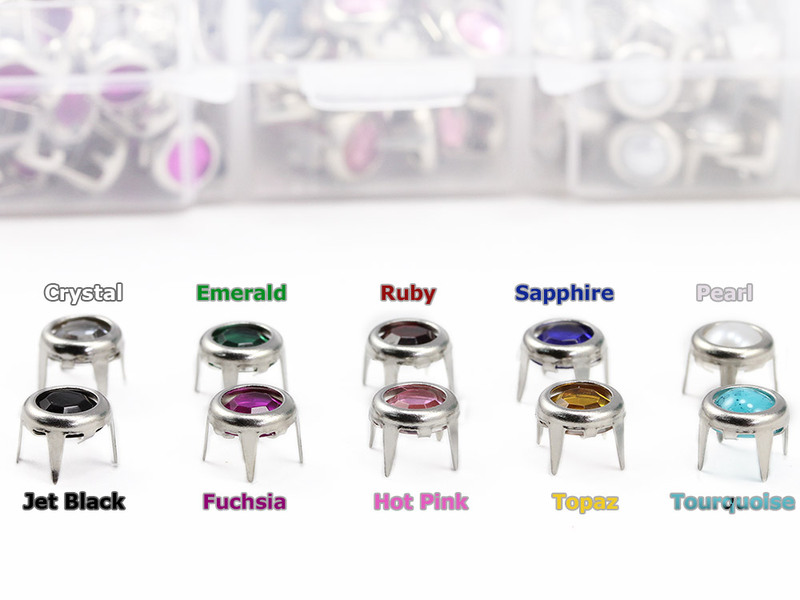 Acrylic Rhinestones in non rusting silver color settings. Prong size: 3mm. Sparkling bright acrylic & non rusting brass. Decorate sweaters; hats; dresses; slacks and more. 10 Beautiful colors including special Tourquoise and Pearl. Apply by hand, with bedazzler machine, or rhinestone press.